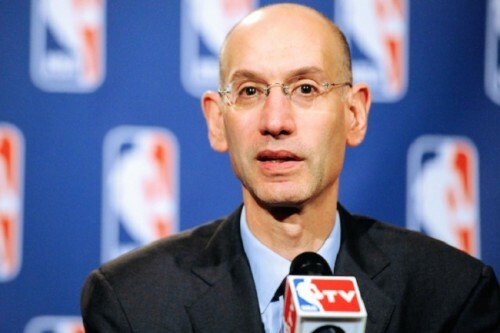 NBA'S Silver says legal US sports betting "inevitable"
Adam Silver, the NBA’s (National Basketball Association) commissioner, has stated that legalized sports betting in the USA is “inevitable” in an interview with the International Business Times. The statement from Silver was made in the context of discussing the financial crisis faced in many US states and how legalizing it would be a good source of revenue to remedy this. Silver, who replaced former NBA Commissioner David Stern in February, further stated that he did not see any moral issue with legalized betting. The practice is already legal in the US state of Nevada and the US State of New Jersey has attempted to legalize sports, casinos and race betting tracks under the leadership of Governor Chris Christie. Silver’s comments represent a change in tone from his predecessor, David Stern, who joined forces with several other US sports leagues to sue the state of New Jersey in its attempt to legalize the issue.